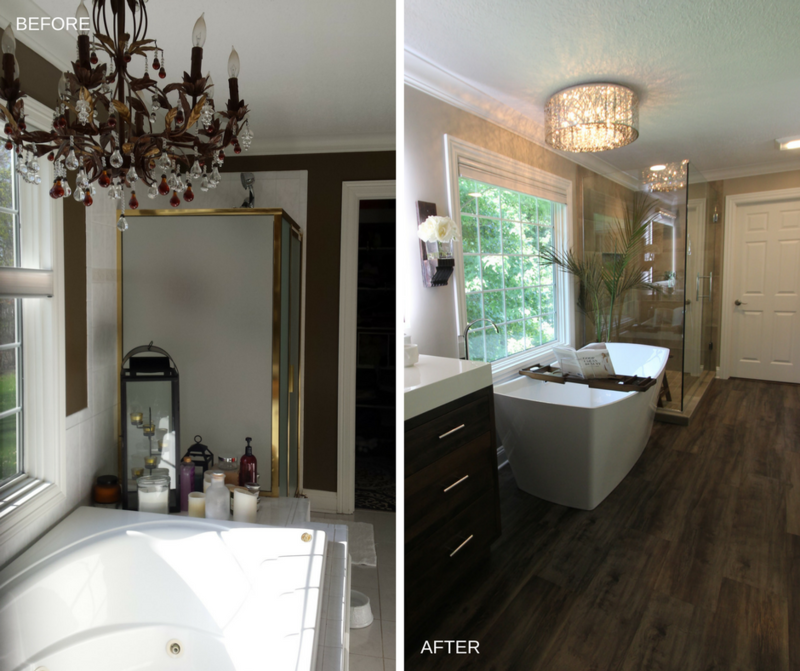 This master bathroom has been brought back to life with a fresh contemporary design. 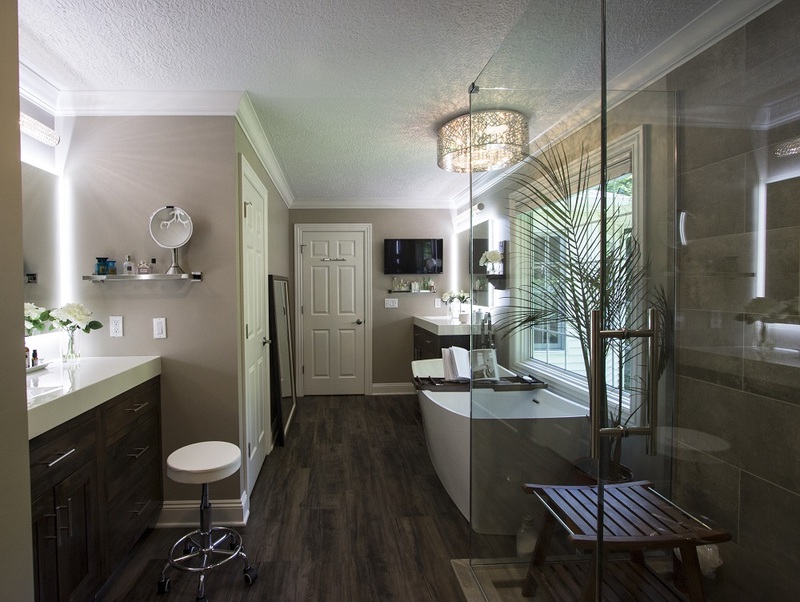 The beautiful Kardean LVT flooring in Hartford warms the space while the high gloss white vanity countertops with integrated sinks give the space a modern edge. 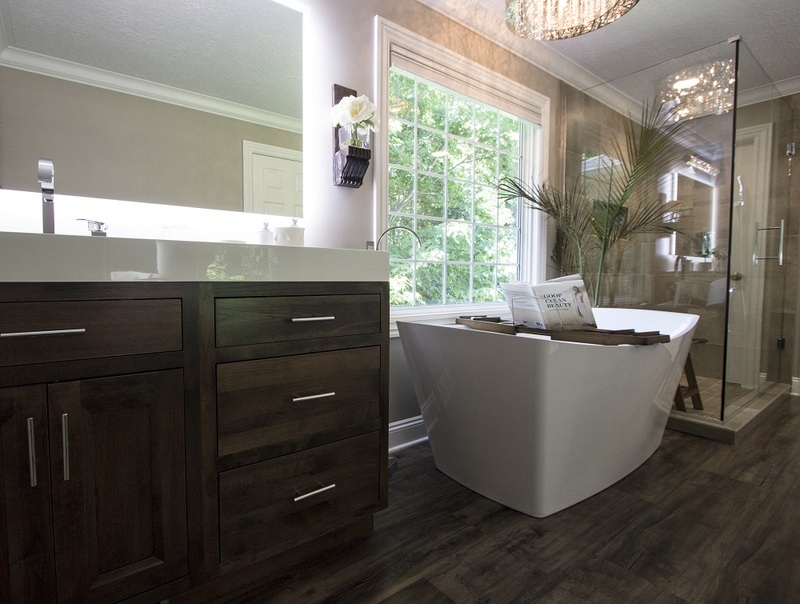 The bulky built in whirlpool tub was replaced by an elegant freestanding tub. 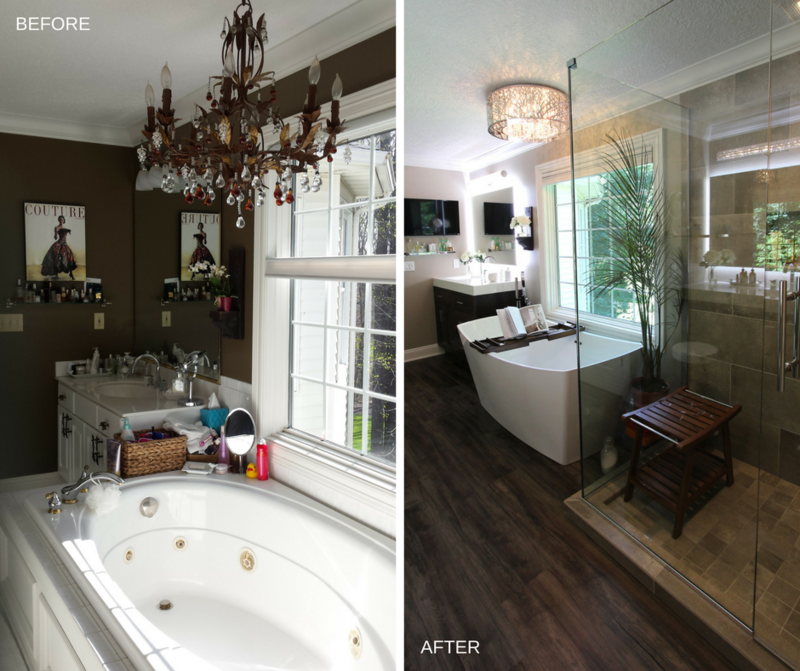 The outdated frosted glass shower with the brass trim was upgraded to a larger glass shower with neutral tan concrete-look tile. The his and her vanities are made from Decora cabinetry in the Hutchenson door style in a mink finish. 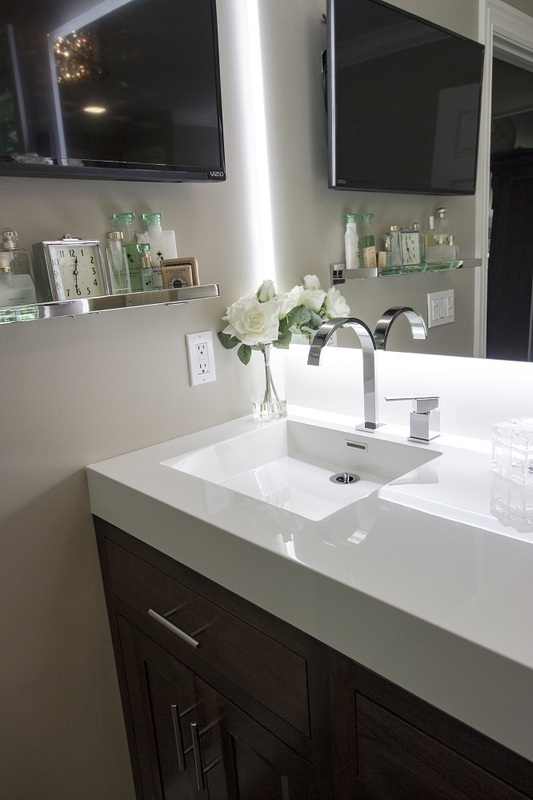 The all-in-one sink and vanity top is the WetStyle Cube Collection – a composite material. Are you ready to love your home again? Let our designers help upgrade your space. Want to speak with a designer, call us at 330.225.6000 or visit our showroom. Appointments are appreciated but not required. Our showroom is open Mon-Fri 9-5 and Sat 9-3.